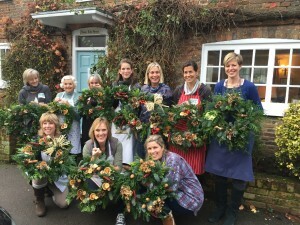 This will be a very creative morning when you will be guided through the steps to make a gorgeous ‘top of the range’ wreath, (which according to our sources, usually sells for £75.00 at a local upmarket Christmas Fair). Your wreath will be packed with your own selection of natural materials (provided by us – locally sourced, collected and assembled by our two experienced Creative Green Tutors: Caroline Wilson and Hazel Harman). Tips on care and management of your wreath will be provided, so that it will keep perfectly fresh for Christmas and the Festive Season. 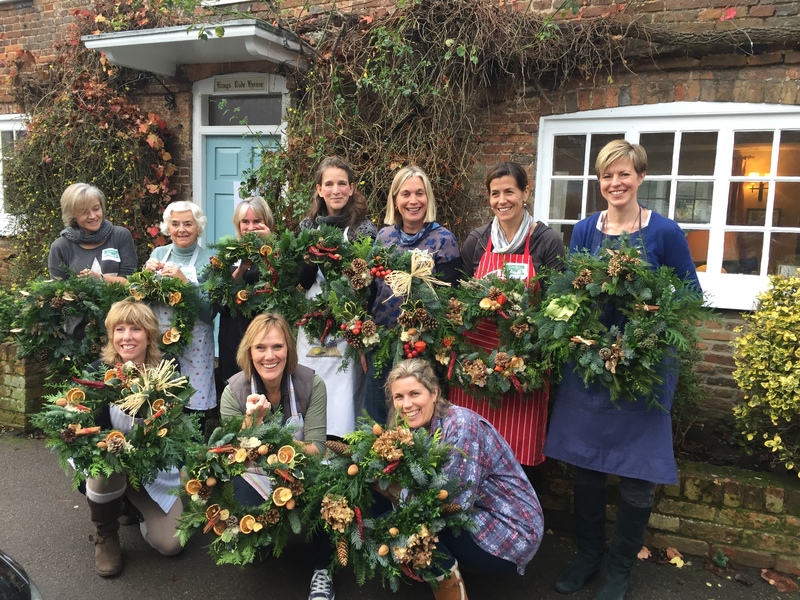 This is our fifth year of making our luxury wreaths and we are offering this opportunity once more due to the high demand, so we suggest you book early to avoid disappointment – spaces are limited.